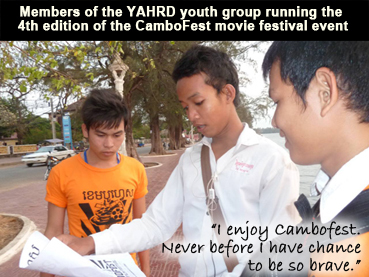 CamboFest invited the participation of a Cambodian youth group, Y.A.H.R.D., for the 4.0 edition of CamboFest in order to support the festival’s long term sustainability. 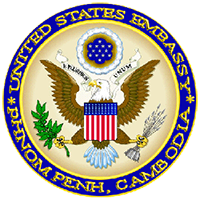 As an independent, non-aligned event, CamboFest continues to welcome and train local participants without any external conditions to do so. 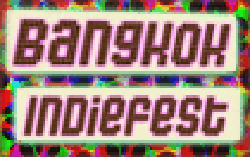 Since the festival’s first edition in 2007/2550, CamboFest has relied upon the generous spirit of numerous sponsors, individual contributors and volunteers to undertake its pioneering mission. 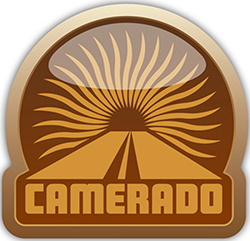 Unlike other film festival events that have emerged in Cambodia since our pioneering efforts began, CamboFest is a truly independent effort, and is not linked to any foreign government or agency. 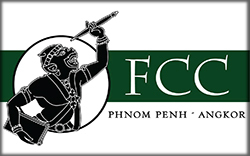 Importantly as well, CamboFest does not abuse filmmaker’s copyrights by running pirate movie screenings in the off-season – something which is still a common occurrence in the Cambodian environment today.